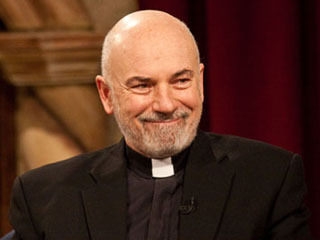 (Renew America) A bit of good news to share: A reliable source has informed me that Father John Corapi, a popular priest among orthodox Catholics who departed public life after a tumultuous period a few years ago, remains in the priesthood and is re-establishing his spiritual life. There's no indication he'll be returning to public life anytime soon, if ever. However, it's nice to know that Father Corapi can at least be a quiet prayer warrior during this extremely difficult time in the Church and world. I won't go into the particulars about what transpired in the past – it's water under the bridge – and I'm sure there's information on the Internet (some of it more reliable than other information, obviously) for those who may not be familiar with the situation. Plus, those who really didn't pay attention to him in the first place likely don't care one way or the other about his current status. The bottom line is that we all are wounded and spiritually/morally fall often (I know I do!). We just have to try our best to keep moving forward in faith in this "valley of tears." A very difficult task, I must say. That doesn't mean condoning moral corruption or remaining silent about it, but we all need God's mercy.